A former United States ambassador to the countries of Mali and Rwanda – and a man who served as a U.S. Foreign Service officer for 28 years – has joined the College of Business as a visiting scholar. David Rawson has taught at Spring Arbor University in Spring Arbor, Michigan, the past 19 years as a professor of political economy. Prior to that, he worked in the U.S. Foreign Service as U.S. ambassador to the Republic of Mali (1996-99) and the Republic of Rwanda (1993-96). He worked previously in positions ranging from director of the Office of West African Affairs (1989-91) to serving as deputy chief of mission for the American Embassy in Somalia (1986-88). 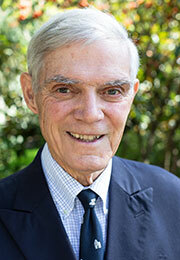 David began his international career in 1971 as a desk officer for Rwanda and Burundi. His academic career began as an assistant professor of political science at Malone College in Canton, Ohio (1965-71). He has authored two books: The Somali State and Foreign Aid and Prelude to Genocide: Arusha, Rwanda, and the Failure of Diplomacy, as well as various articles and book chapters on international affairs and conflict resolution. He earned a PhD in international relations and comparative government from American University (1966) and a master’s degree in international relations from the same school (1964). He lives in Newberg in the Friendsview Retirement Community with his wife Sandy. They have two grown children, Jon and Christina. 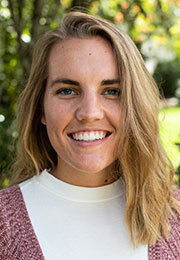 Hannah Butler has been hired to work as an event operations coordinator in the Office of Event Services. She arrives from Colorado Christian University, where she spent the last three and a half years as an assistant event manager for the school’s athletics program. In addition, since 2016, she has worked in ministry as a worship leader at Generations Church in Denver and, during the summer of 2018, as a production/worship intern at Red Rocks Church in Arvada, Colorado. Hannah earned a bachelor’s degree in global studies this spring from Colorado Christian University, where she competed on the school’s Division II women’s soccer team for four years. She lives in Newberg and attends Bridgetown Church. 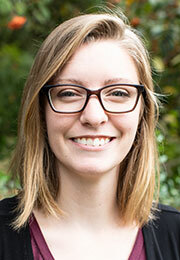 The university has hired Kirsti Doolin as a print services specialist. A 2018 graduate of George Fox, she has spent the summer working as a direct sales associate with Lange Estate Winery and Vineyard in Dundee, Oregon. In addition, since the summer of 2015, she has worked as both a sales associate in the university’s print services office and as a lead sales associate for the Pulp and Circumstance store in Newberg. Kristi earned a bachelor’s degree in fine arts last spring. She lives in Newberg and attends Willamette Christian Church in West Linn. 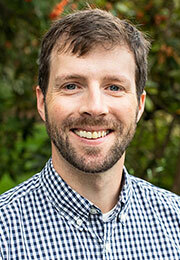 The university welcomes Aaron Geist as a financial aid counselor. Since 2005, he has served at Grace Point Community Church in Tigard, most recently as the associate pastor of worship and expression (2015 to present) and previously as the church’s youth and worship pastor (2011-15) and student ministry assistant, high school pastor and youth pastor (2005-11). He also gained student ministry experience as a senior counselor at Camp Harlow in Eugene, Oregon, in 1997. His roles in ministry have given him the opportunity to build skills in the areas of communication, project management and tech support, among others. Aaron earned a bachelor’s degree in Bible and theology from Multnomah University in Portland in 2006. He is looking forward to working with students and parents to find the right resources as students pursue an education at George Fox. Aaron lives in Tigard with his wife Alison and their three children – Isaiah, Jonah and Ezra. He will continue to serve at Grace Point through September before transitioning to a new church at which to serve. Wenbin “James” Lian has joined the university’s College of Business to serve for one year as an MBA program coordinator assistant and to help with language translation. 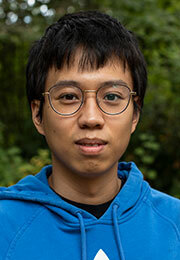 A native of China, he completed George Fox’s full-time MBA program this year after earning a bachelor’s degree in accounting from Hainan University in China in 2017. He worked previously as an auditing assistant for a firm in Xiamen, Fujian in China. He lives in Newberg. Stephanie Lopez joins the Office of Spiritual and Intercultural Life to work as an administrative assistant and help coordinate Serve Day. For the past two years she has worked as an administrative assistant in the dean’s office in the School of Behavioral and Applied Sciences at Azusa Pacific University. In addition, in 2017-18, she was a graduate assistant in charge of intramural programs in the student programming and activities department at Biola University. She served previously as a graduate assistant in Azusa’s Office of the Campus Pastors (2016-17). She also has served as a worship team coordinator for Iglesia Nueva Generacion. 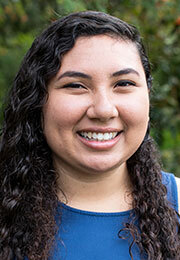 Stephanie, originally from Los Angeles, has moved to Newberg and is in the process of seeking a church home. Chris Cleaver (Counseling) has left the university. This entry was posted on Monday, September 3rd, 2018 at 12:59 pm	and is filed under E-Colleague. You can follow any responses to this entry through the RSS 2.0 feed. Both comments and pings are currently closed.